Last year I took a short service design course and was asked to design a whole new business model for Save the Children Australia. The challenge? Don’t rely on donations. When accosted by traditional fundraising practices people decide to not donate because they feel uncomfortable and pressured. Schools in Victoria lack education around Indigenous traditions, causing a gap between cultures. Save the Children is currently a link between communities, but doesn’t act on making the gap smaller. Research shows that there are no fundraising practises involving children or indigenous communities. Many concepts came out of it and the best ones were tested with real users. The one people accepted the most was refined and pursued. A half-yearly immersion during a school day. At this event, students welcome indigenous groups in order to familiarise with the Koori culture, ask questions, play and share a traditional meal together, forming a bond that can be nourished later on through pen-palling. A paid on-going program that aims to cultivate friendships and better understanding between our children that involves community visits, field trips, traditional weaving / language / cooking classes, and lots of other experiences they can do together. Together, these components have the power to change the way students perceive Koori children and their culture, growing towards a more inclusive future. The one thing a parent wants is to provide values and relevant education to their children. 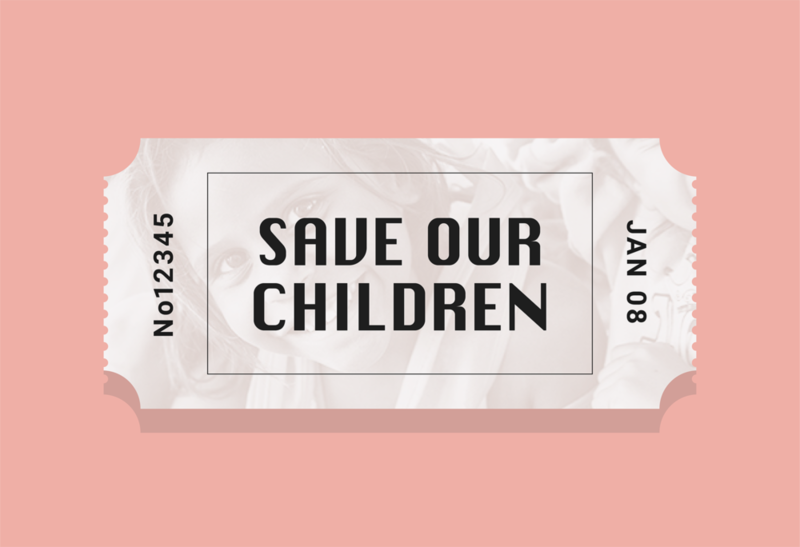 Save Our Children promotes social, cultural, and historical education, as well as a chance to get to know and develop bonds with indigenous kids, and does not rely on donations. Our model can easily be replicated to suit different environments. There are over two thousand schools in Victoria only. Australia wide, this number multiplies around 5 times. Not to mention retirement villages, workers groups and associations, and corporate partners. Schools incorporate government curriculum requirements while making school fun. Kids make new friends they would not meet elsewhere and learn to live and respect different cultures. Koori culture is broadly understood and Koori kids are given opportunities to feel accepted and included while making new friends. By running this event every year, not only will Save The Children raise enough funds to go towards indigenous communities in need in Australia, they’ll help raise a generation of inclusion, where all cultures co-exist together. Our children’s future has no space for boundaries, no black or white, no Us and Them. We are one world, one energy, one heartbeat. Educating our kids towards inclusion is the only way forward.